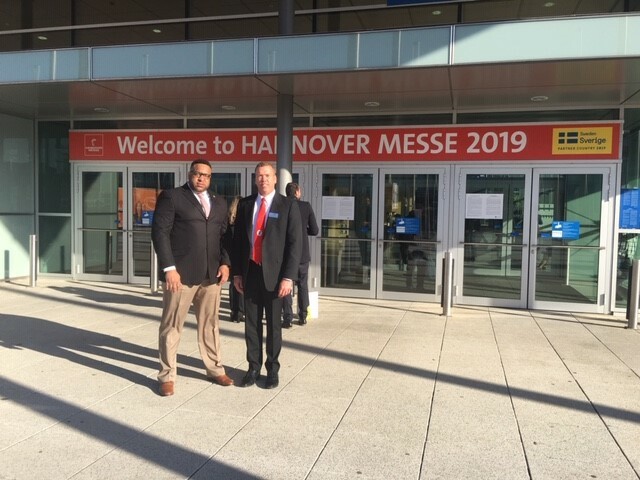 Welcome to the 2019 Hannover Messe Trade Show. With more than 6,000 exhibitors and 300,000-plus attendees, Hannover Messe is the largest industrial and technology trade show in the world. Going back more than 60 years, Hannover Messe is a once-a-year trade show in Hannover, Germany. Always in April, Hannover Messe features a different country each year as the “official partner” for that year’s show. This year’s official partner is Sweden. The United States was the official partner in 2016, and President Barack Obama joined German Chancellor Angela Merkel in welcoming the exhibitors at the opening of the show. Loudoun Economic Development was one of those exhibitors. This year Loudoun Economic Development has a booth once again, in Hall 27, Stand 28/1. We are very excited about this location, because it is right next to the booth of SelectUSA, which is part of the U.S. Commerce Department. 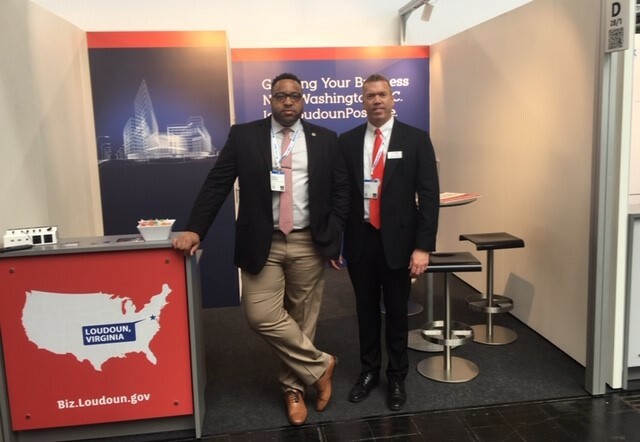 It is ideal and fitting that Loudoun Economic Development and the U.S. Economic Development groups have booths right next to each other since we both aggressively pursue fast-growth international businesses. Washington Dulles International Airport (non-stop flights to 56 different countries, making us an ideal location for international companies). Proximity to the policymakers in the U.S. Federal Government—i.e. the world’s largest customer — and the 100-plus Embassies in Washington, D.C.
Strong international culture and various international business chambers. In fact, one in every four people living Loudoun was born outside of the United States. Hannover is an ideal trade show for Loudoun Economic Development to participate in because so many of Loudoun’s potential business prospects will be in the same location at the same time. Our Smart Manufacturing Business Development Manager, Swanka Burnette, and I will be visiting many of these companies at their respective booths and inviting attendees to visit us at our Loudoun booth as well. If you are planning to attend Hannover Messe next week, please come by and say hello to Swanka and me. Once again, at Hall 27, Stand 28/1.